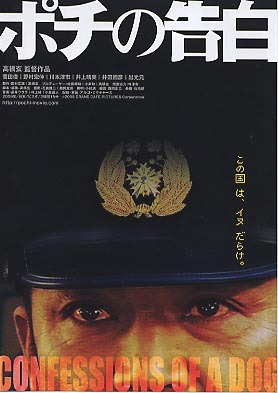 Takeda, a serious police officer with a sense of justice, is drawn into crime by an assistant police inspector who’s his boss. The crime is organized drug smuggling in the police state of Japan, where the entire police force, including the prosecutor’s office and courts, has become one. Eventually, Takeda takes responsibility for the entire police organization and attempts suicide while in custody. Escaping death, Takeda tries to expose the upper levels of the police in court but the judge, who has been threatened by the police, disallows the accuser Takeda’s statement. To save Takeda, the newspaper journalist Kusama, with whom he exchanged information before being steeped in wrong, holds a press conference at the Foreign Correspondents Club of Japan with evidence of police crime that Takeda obtained. Japan’s mass media has determined that the truth about crime by police cannot be reported.